Only open to the public for spectators. Spectator fee is $8. 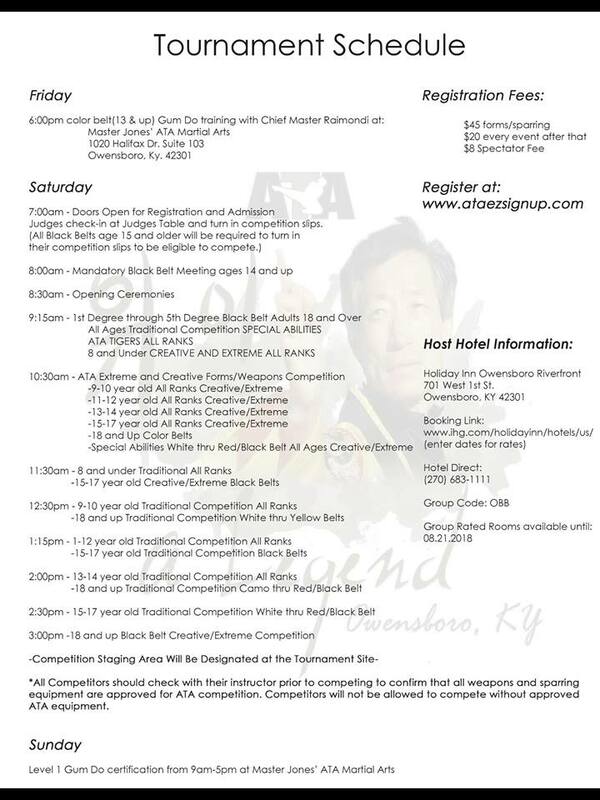 We will have Taekwondo students coming from all over the United States to compete. Each Competitors ages 3 to 93 of all ranks will have the option to compete in 8 different events. The events are forms, weapons, sparring, combat sparring, creative/extreme forms, creative/extreme weapons. The ATA is the largest single martial art in the world, with 1500 schools all over the U.S. plus 19 different countries covering 5 different continents.